The Mission Breath Alcohol Detector is a test for alcohol in human breath. 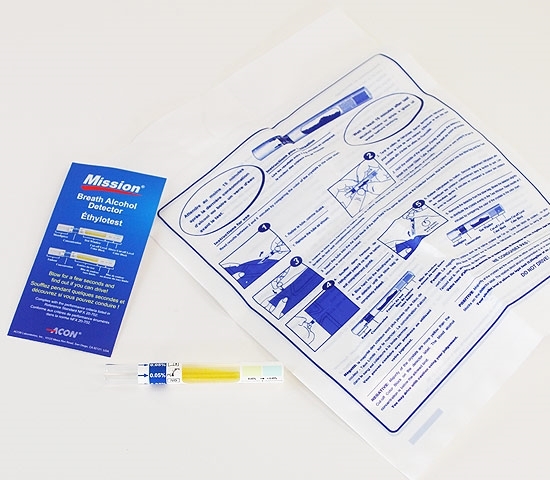 It is a disposable screening device for one-time use. Qty. 20 per box, only $39.97. Choose alcohol level below. Mission breath alcohol detectors are very simple and easy to use. Simply blow into the detector and read the results in moments. Individually wrapped, fits perfectly into your pocket or purse.